You can read development news by following the “autumn” tag in the blog. 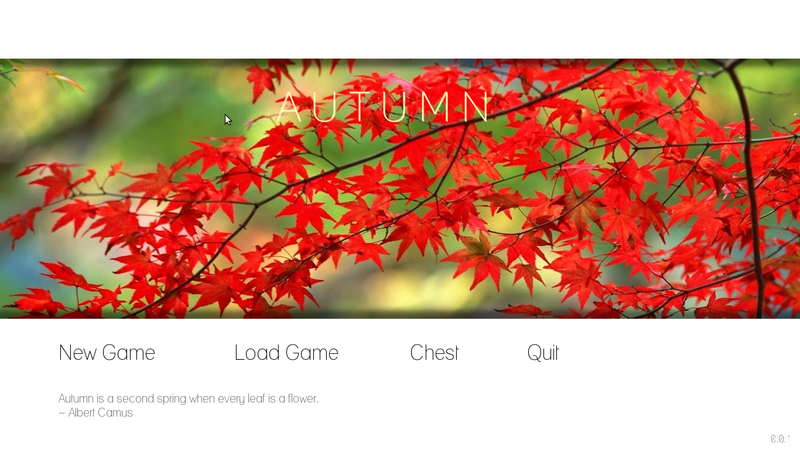 Autumn is a game in which you experience a relaxing atmosphere for growing and learning on a spiritual level. in each game you play as a Spirit which depends on the natural world for its own growth. As you help the world around you to thrive, you get back spiritual energy in return. In Autumn, while the trees are shedding their leaves, orbs of Prana are released into the air, which you can absorb. Your own Prana can be utilized to help and change the world around you and to obtain spiritual teachings. More than levels or in-game progressions, Autumn’s focus is on the growth of the most important being: yourself. There are no time-limits, no enemies to defeat, no goals to reach… except the ones you set for yourself. Relax, learn, grow… and enjoy Autumn.